Version 1.5.3, a testing release, is now ready for download in the account manager. I might make a post on our garden and gardening methods in offtopic somewhen. Either way, it's gotten rainy again and most of the empty garden space now has something growing in it, so back to being somewhat more programmy! I'm happy to report that we finally got something story-like in the game. 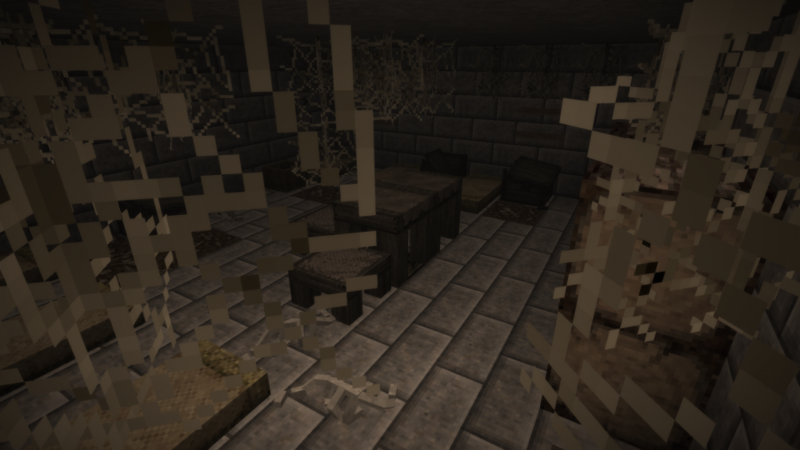 And a few more fun features to encourage exploration. The changes list has become quite huge again. Check it out! Teleporters! A creative mode only block. Helpful for server owners to connect cities. Can be used to connect 2 places in the world with teleporting capability. 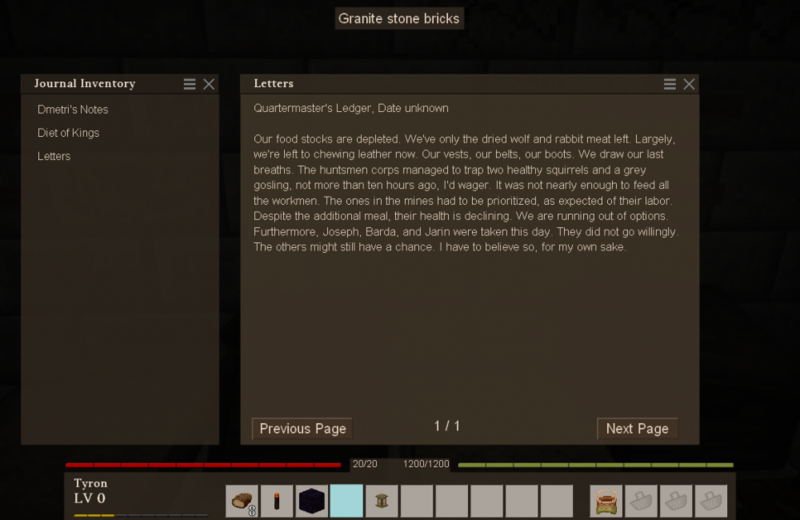 Once placed it can also be used by survival players. 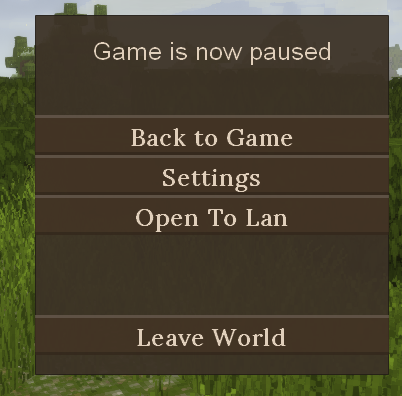 Singleplayer worlds can now be turned into multiplayer sessions with a "Open TO LAN" button, which allows other players on the LAN to connect to you (or through internet with port forwarding). 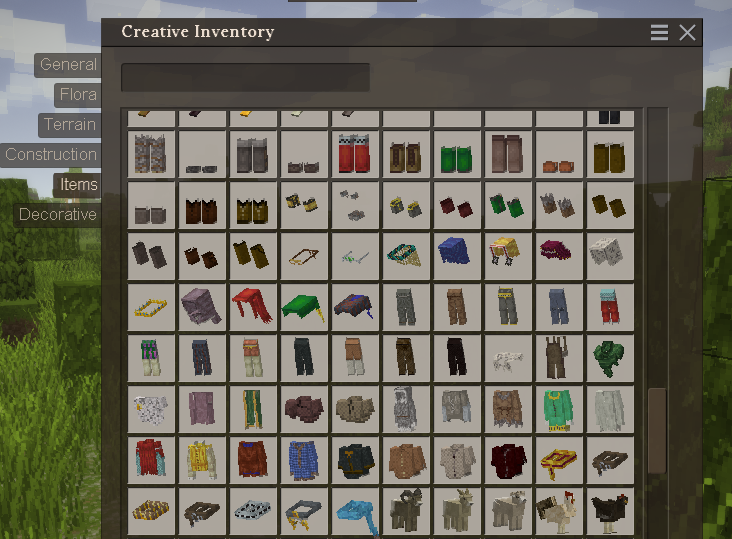 Can also be placed in masses by worldedit! 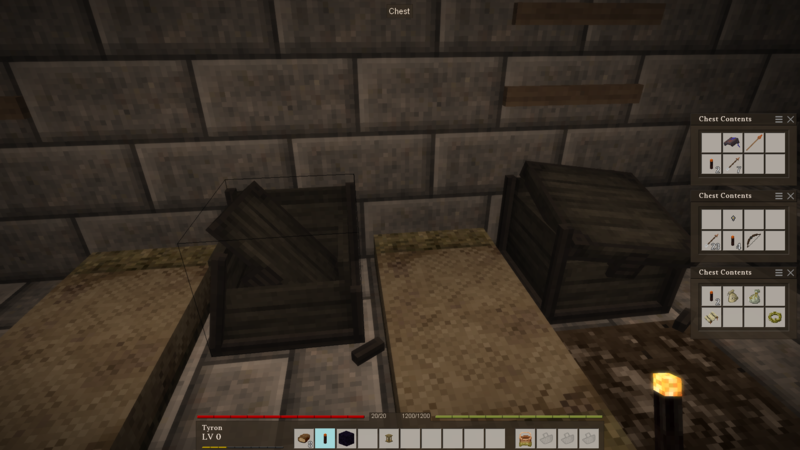 Feature: Wood type fences also they connect properly to fence gates now. 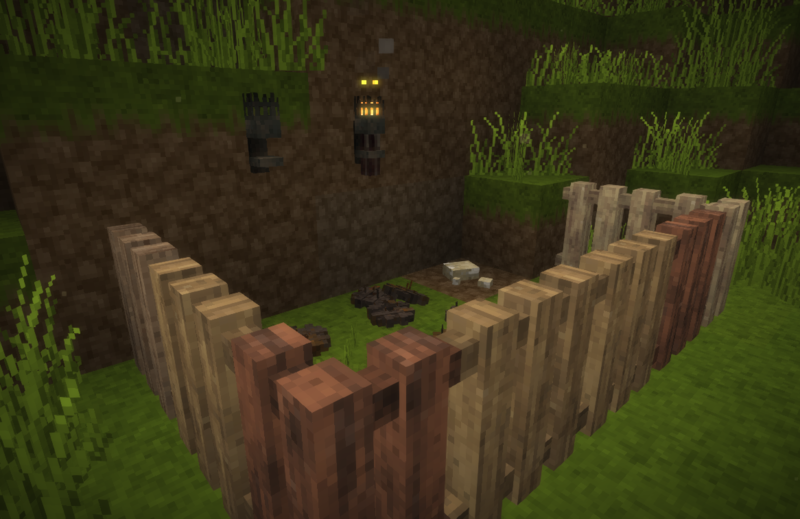 Also double fence gates! Added command /we mex [filename] c to export a schematic and copy some text into your clipboard for you to save a macro into a text file for convenient re-exporting. Feature: Growing grass blocks now also grow tall grass on them. Grass blocks lacking sunlight now turn to soil blocks. Tweak: /genbackup is now executed in a background thread and thus no longer lags the server while it is running. Tweak: Renamed ModSet to just Mod and ModBase to ModSystem to get rid of the confusion of what is a "mod"
Tweak: blockAccessor.SetBlock() now takes a third argument for the itemstack to be passed onto block.OnBlockPlaced(). This can be used to pass on custom data to block entities.